They go almost every day in the summer. 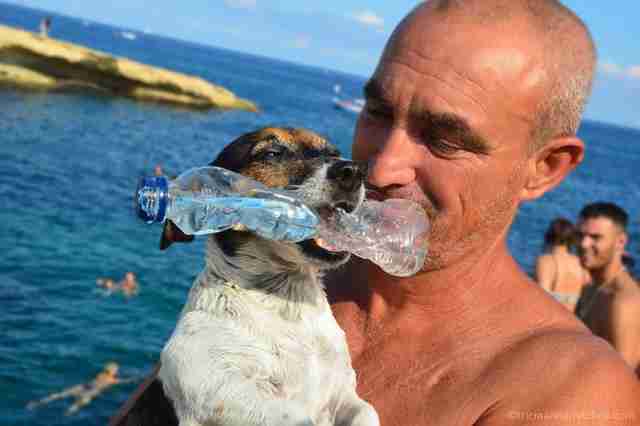 St. Peter's Pool is a place in Malta where people love to go to swim and cliff dive, but perhaps its most famous visitor is a little dog named Titti. Titti and her dad, Carmelo Abela, go to St. Peter's Pool six days a week during the summer. They're inseparable and spend every waking moment together, and especially love diving off the jagged rocks alongside each other. 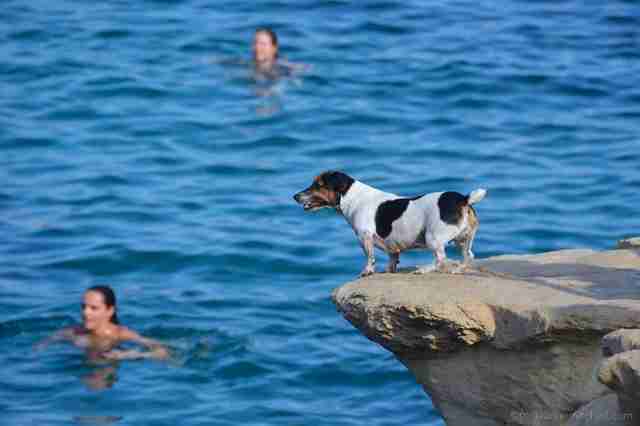 Titti used to be too scared to jump off of the high cliffs, but after watching her dad do it so many times, eventually, she couldn't help but follow him. 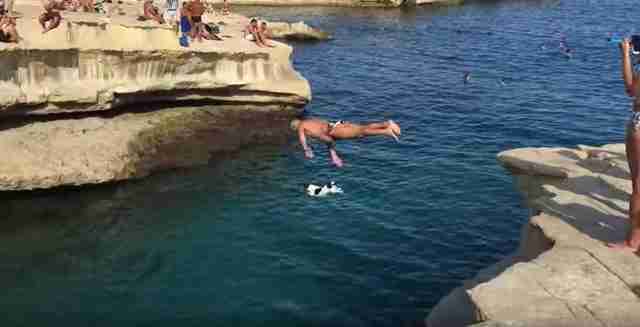 Now, Titti jumps from the highest cliffs she and her dad can find, and refuses to dive anywhere but St. Peter's Pool. ... and watching them dive gracefully into the water below, often side by side, is quite the sight. Titti's dad has a great love for diving and swimming, and since Titti has a great love for her dad, it makes sense that she would want to share that love with him. You can follow all of Titti's adventures on her Facebook page.